This means citizens are free to form or join a political party. After independence, Kenya remained a multi-party state until 1964 when KADU and APP (African People’s Party) merged with KANU to form one party. Multiparty system came back in 1966 when Oginga Odinga formed KPU. Multi-party was also re-introduced in 1991 when section 2A of the constitution was repealed. The second multi-party election was held in 1992 and KANU won. Since then, Kenya has been a multi-party state by law. This is when only one political party is allowed in a country. This system is viewed as a show of dictatorship. Kenya became a single party state in 1964 when KADU and APP joined KANU. In 1982, Kenya was made a one party state by law and it was illegal to form another party. KANU was the only party. This ended in 1991 when section 2A of the constitution was amended to make Kenya a multi-party state. A coalition government is formed when two opposing parties agree to share power and work together. Coalition government was first in 1964 when KADU and APP agree to share powers and work with KANU. In 2002 general elections, a group of parties came together to form one umbrella party-National Rainbow Coalition (NARC). Kibaki was nominated its presidential candidate. NARC went on to win 2002 elections and the parties worked together until 2004 when they disagreed and split. After the disputed 2007 general elections, Kenya experienced bloody violence. Bitter rival parties ODM led by Raila Odinga and PNU, led by Kibaki accepted to share powers. Constitutional amendments were made and the post of the Prime Minister was created for Raila and Kibaki remained the President. The first Lancaster House conference was held in London in 1960. Africans were to be majority in the LegCo. Number of Africans in the cabinet was increased to 4. Democratic election was held in 1961. In 1962, the second Lancaster house conference was held. The LegCo was divided into the upper house and the senate (lower house). Elections were held in 1963. In 1963, the third Lancaster House conference was held. The main result of the conference was that; The British agreed to grant Kenya independence and the date was agreed upon. On 1st June 1963, Kenya attained internal self-government. Kenyatta became Kenya’s first Prime Minister. Kenya celebrates this day as Madaraka Day. On 12th December 1963 Kenya was granted independence. Kenya celebrated her first independence anniversary on 12th December 1964. During this time, Kenya became a republic with Jomo Kenyatta being Kenya’s first president. 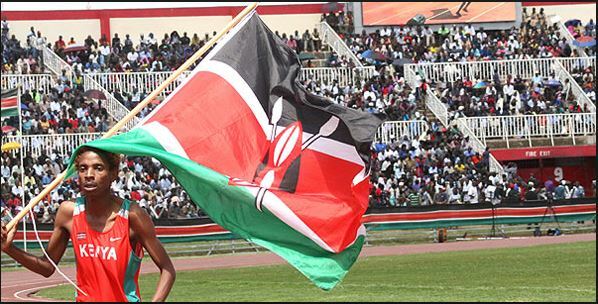 Kenya celebrates this date every year as Jamhuri Day, as seen in the picture below. Tanzania was formed when Tanganyika and Zanzibar joined to form one country. Tanganyika was colonised by Germans. 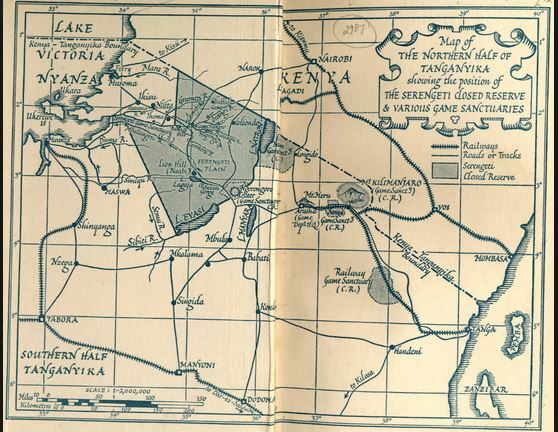 In 1920, British started ruling Tanganyika on behalf of the League of Nations. Quest for independence was motivated by the Second World War. TAA was changed to Tanganyika African National Union (TANU) on 7th July, 1954. This date is celebrated in Tanzania as Saba Saba. In 1956, non-Africans formed United Tanganyika Party (UTP). Elections were held in 1958 and TANU won all seats. In 1960 elections, TANU won and was told to form the government with Nyerere as a chief minister. In 1961, Tanganyika was granted self-internal government with Nyerere as the first Prime Minister. On 9th December 1962 Tanganyika became a republic with Nyerere as the first President. Zanzibar became independent in December 1963. On 23rd April 1964, Tanganyika and Zanzibar united to form one country, Tanzania. Struggle for independence in Tanganyika was peaceful. Map of the Northern half of Tanganyika. They wanted to preserve African culture. They were given low cocoa prices. There was high rate of unemployment among Africans. The Second World War soldiers were not rewarded. The constitution written for Ghana by Sir Allan Burns in 1946 angered Africans. In 1947, Dr. J.B Danquah formed United Gold Coast Convection (UGCC). Danquah became its president and Kwame Nkrumah its secretary general. In 1949, Nkrumah left UGCC and formed Conventions Peoples Party (CPP). CPP was driven by the motto “Independence Now”. CPP organised peaceful boycotts, strikes and demonstrations. In 1951 elections, CPP won but did not have the majority to form the government. In 1956 elections, CPP won and became independent with Nkrumah as Ghana’s first Prime Minister. Ghana became a republic in 1960 with Nkrumah as the first president. Ghana used peaceful means to push for independence. Zimbabwe was called Southern Rhodesia. Africans used violent means (armed struggle) to fight for independence. In 1943, Africans formed Africa National Congress (ANC) and was led by Joshua Nkomo and Robert Mugabe. ANC was banned in 1959. They formed National Democratic Party (NDP) in 1960. NDP was banned in 1961. In 1962, they formed Zimbabwe African Peoples Union (ZAPU) with Nkomo as the leader. In 1963, some ZAPU members split and formed Zimbabwe African National Union (ZANU) The split ZANU members wanted peaceful means of pushing for their needs while ZANU needed armed struggle. ZANU formed a military wing called Zimbabwe African National Liberation Army (ZANLA). ZAPU also formed a military wing called Zimbabwe People’s Revolutionary Army (ZIPRA). In 1975, ZANLA and ZIPRA merged to form Patriotic Front (PF). This army was known as Chimurenga. Lancaster house conference of 1979 resolved that elections were to be held in 1980. During that election, ZANU won and Robert Mugabe became the first Prime minister. 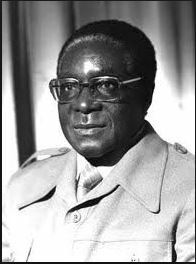 Robert Mugabe is shown below, in 1980.